c early 1950s. Riverside works - H25 Trainer Room? c early 1950s. 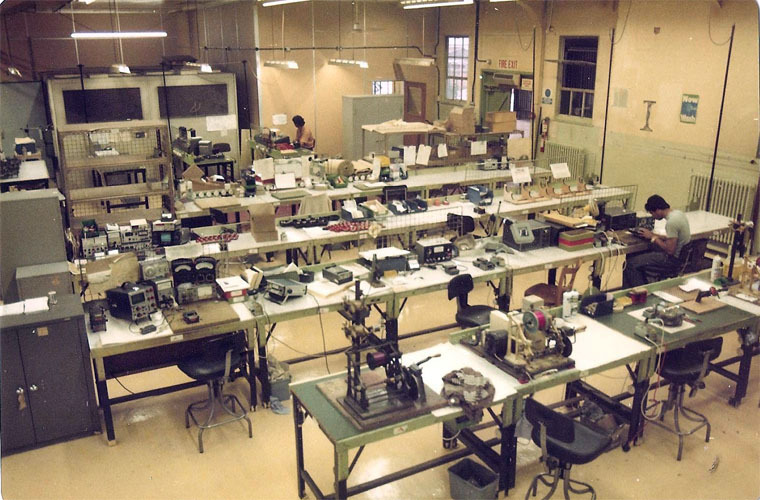 Riverside works - Electronic Lab. 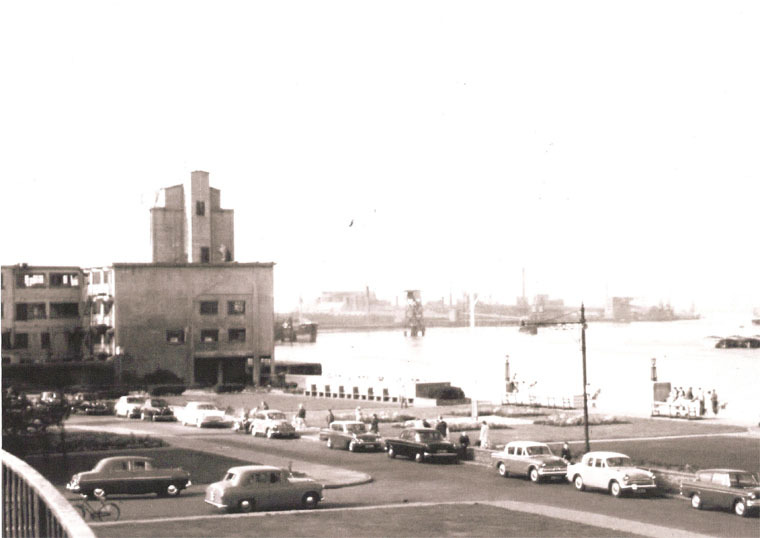 Possibly late 1950's. Riverside works from east. Date unknown. 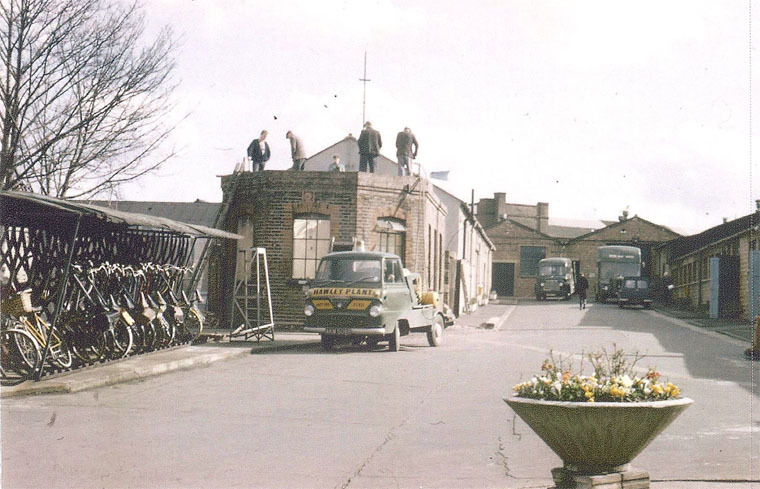 West Street, yard from Gate House. c1961/62 Dartford Heath. Jim Holmes. Sarbe Trials. c1980s. Radio/ TV Lab, West Street. 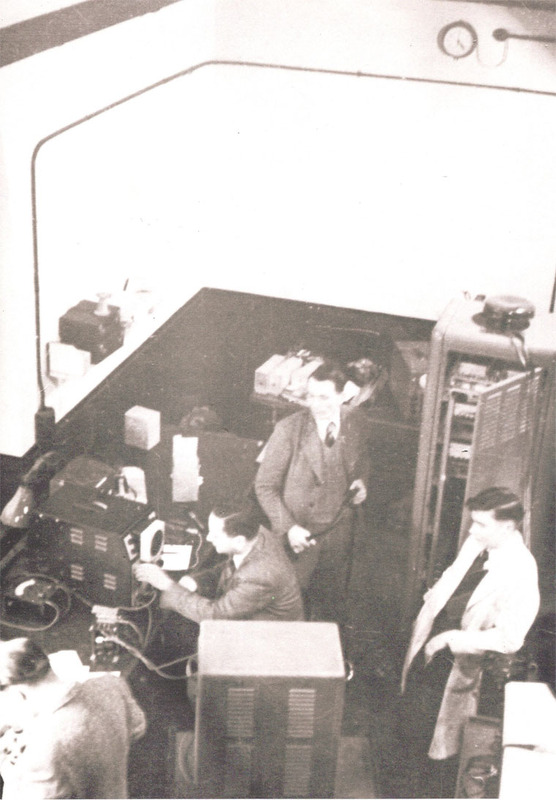 1922 First All-British Wireless Exhibition: manufacturers of wireless apparatus. One of the 12 (sic) founders of the British Broadcasting Company. 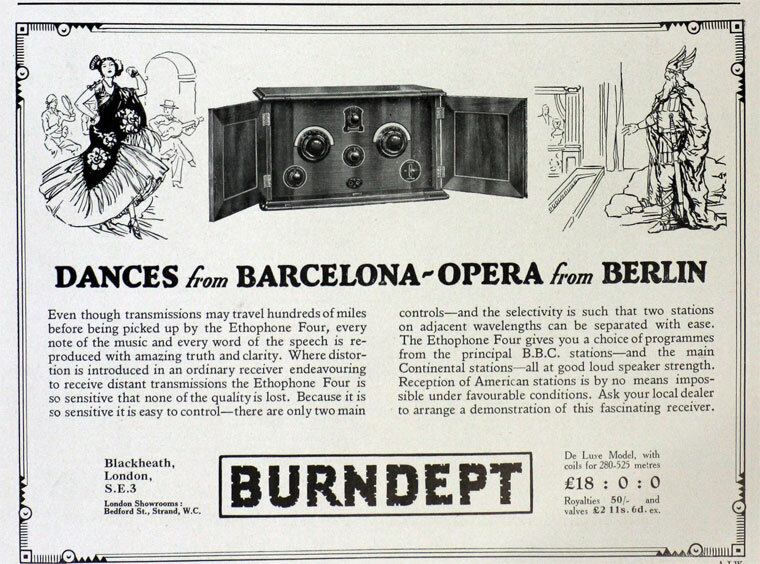 1923 Advert for Ethophone V wireless receiver and Ethovox loudspeakers. 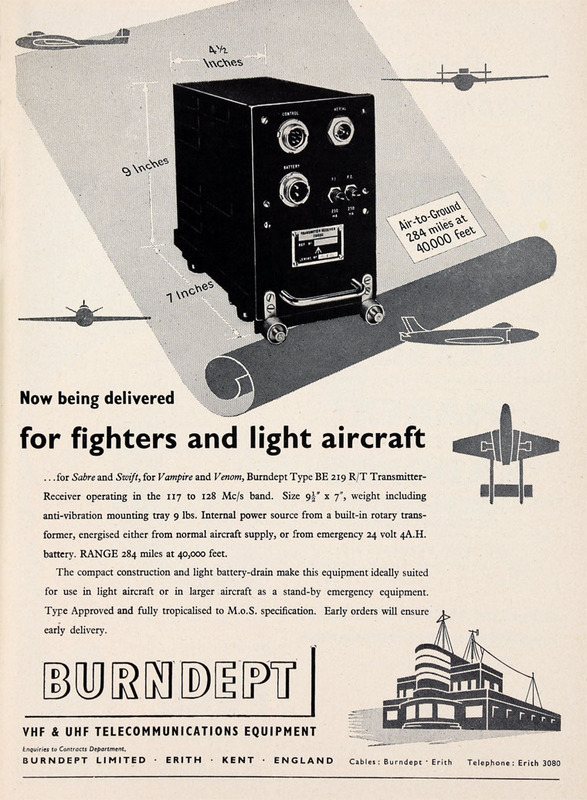 1925 Burndept Wireless Ltd formed with a public issue of shares to take over Burndept Ltd, which is believed to have as large an output of sets as any licensed manufacturer in the UK. Making various components, such as vernier dials and valves. 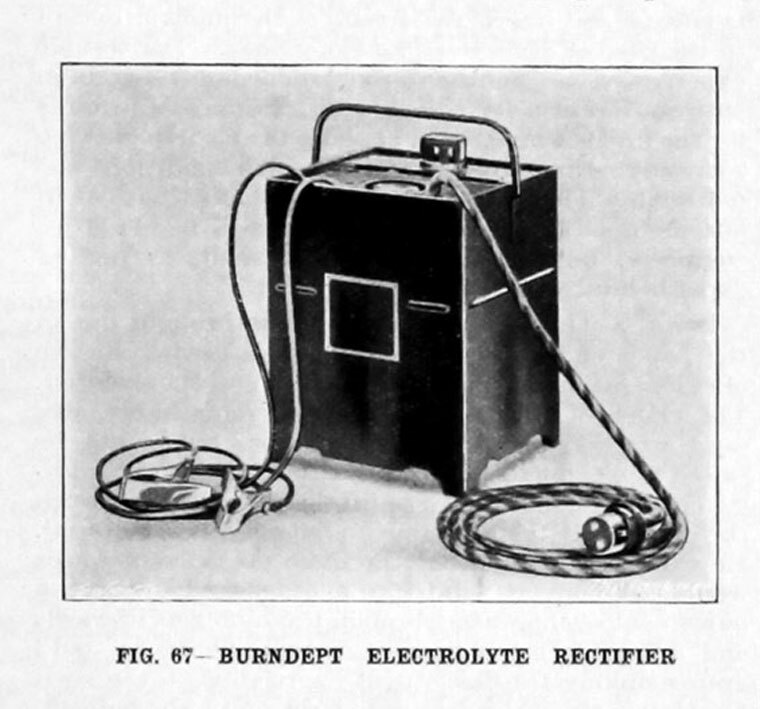 1934 T. N. Cole, previously managing director of Lissen Ltd purchased the Burndept radio company and set up the Vidor battery company, in direct competition with Lissen/Ever-Ready. 1930s Made televisions and radiograms. 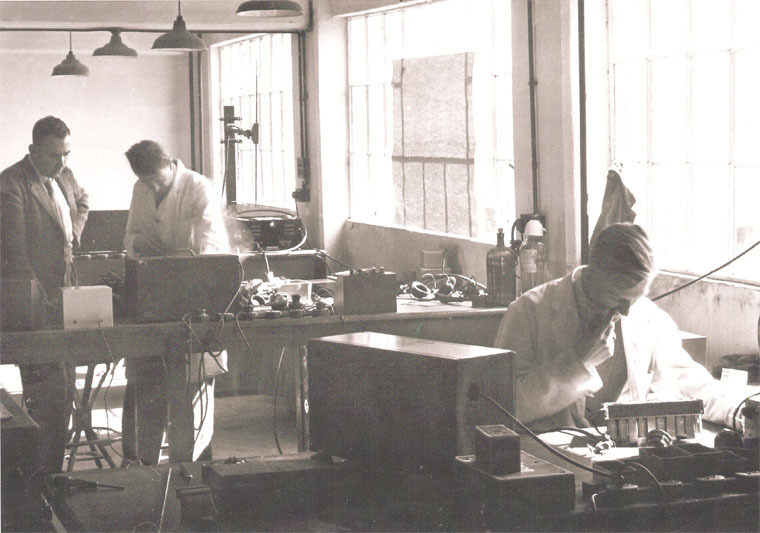 1939 Located at Light Gun Factory, Erith, Kent; dry batteries. WW2: Military electronics and electric cookers. 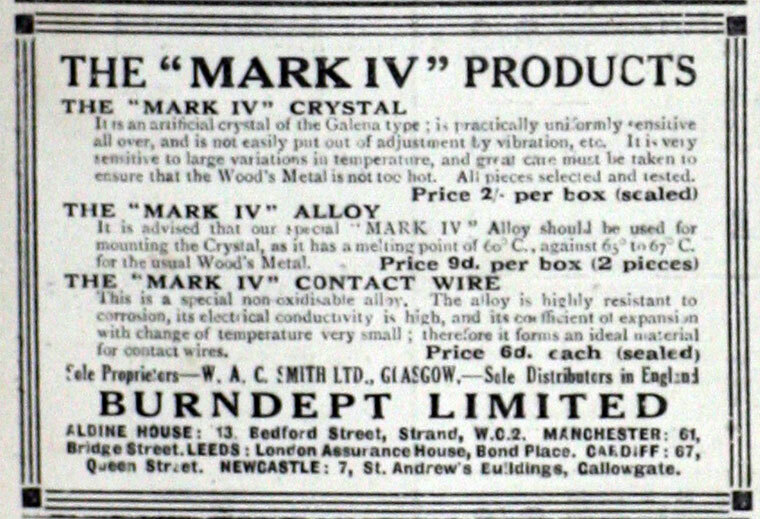 1954 Adverts by Burndept-Vidor for production engineer and draughtsmen for Dundee factory. 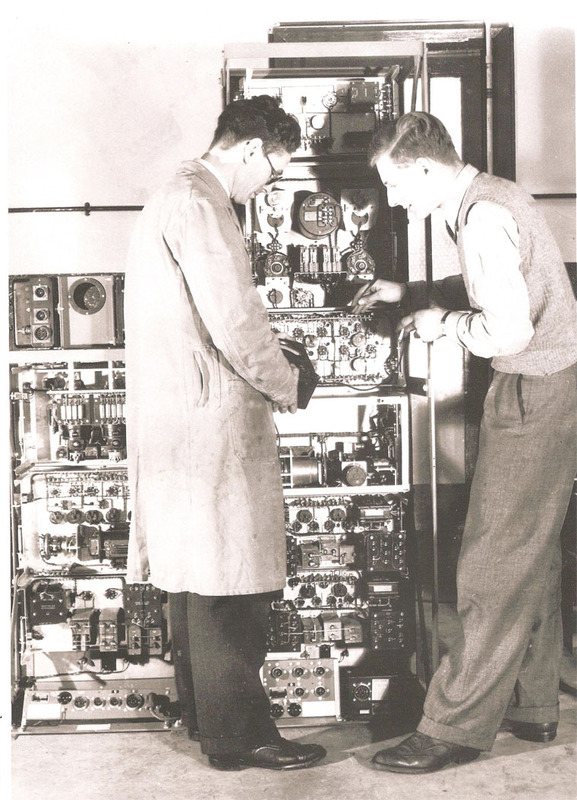 1961 Engaged as manufacturers of radio and television receivers and components, dry batteries and domestic electrical goods, electronic and nucleonic apparatus. 2,000 employees. 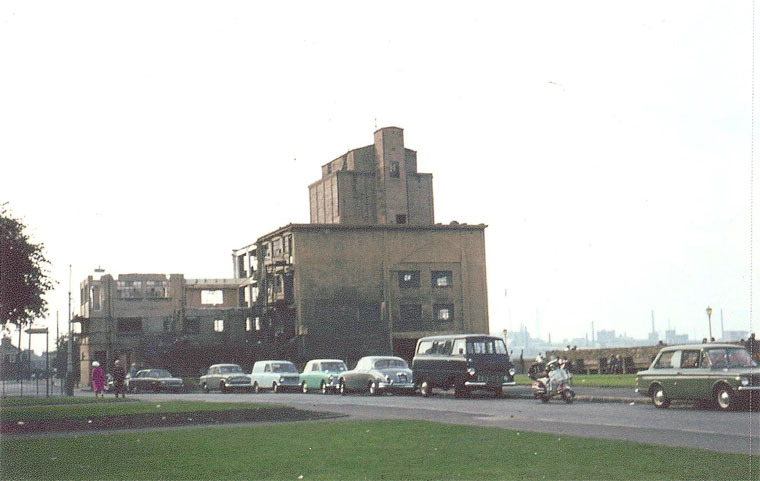 1966 Royston Industries announced that Vidor Ltd/Burndept Ltd had received an important contract from STC; this would further establish the VIDOR name internationally. 1968 Crompton Parkinson purchased the Vidor (dry battery) and Burndept (installer of battery making factories) subsidiaries of Royston Industries. 1968 Article from unknown newspaper (1968) Erith Firm's New Walkie-Talkie Tests Success in London Traffic - SUCESSFUL walkie-talkie transmissions relayed above the roar of London's West End traffic to a large gathering of technical experts and the Press on the top floor of an 18-storey hotel, were carried out by Erith employees of Burndept Electronics (E.R. ), Ltd., on Monday."Mr. C. J. Weeks, the company's managing director, speaking at the Carlton Tower Hotel reception which launched the firm's new range of ultra high frequency mobile radio-telephone equipment, announced that extensive trials at London Airport had culminated in an initial order from British European Airways valued at more than £12,000. 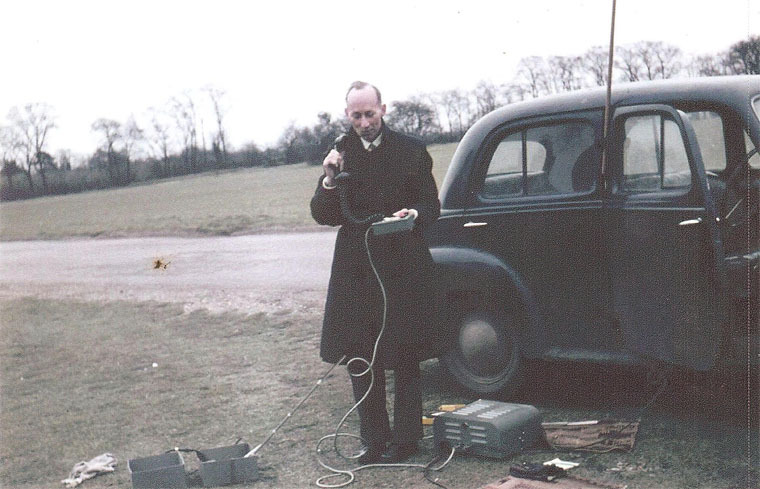 "These trials," he said, "together with others on large civil engineering and factory sites, have highlighted the out-standing penetration qualities, of the Burndept radio telephone, which can provide effective communications in areas hitherto regarded as blackspots. He told a Kentish Times reporter: "We will be needing more women workers at our Erith factory for our expansion programme -in this field. All will receive special training.' 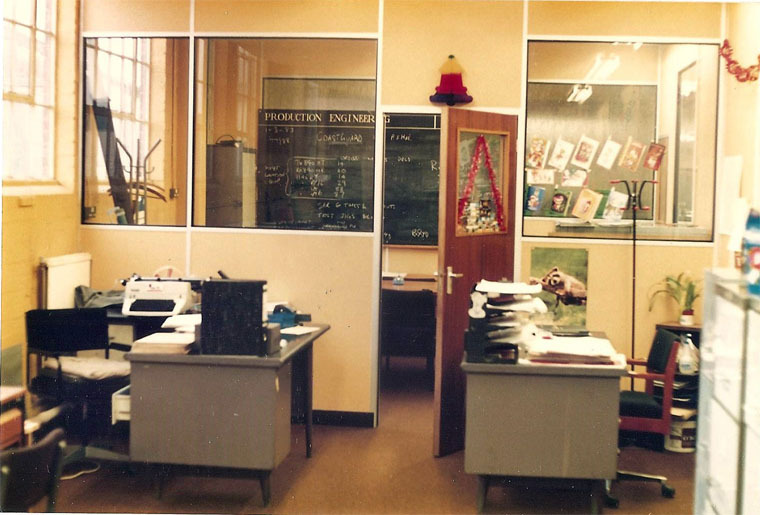 "
1971 Burndept were making Readycall (car radiotelephone) and SARBE (search and rescue beacons) and test instruments. 1978 Subsidiary of Ever Ready (Holdings) Ltd.
1981 Sales in the UK were £4,715,708 and sales in export markets were £1,461,799. The firm's two shareholders were Berec (Ever Ready) and the [[British Technology Group|British Technology Group (N.E.B.) and had invested £3,007,190 in Burndept. 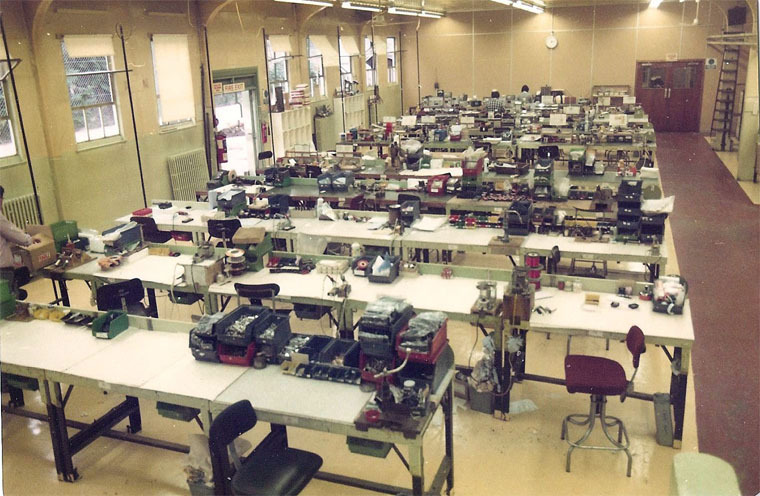 The company employed 374 people in 1981 consisting of 218 men and 156 women. 1981 The N.E.B. formed a subsidiary, Grosvenor Development Capital which took over 51% shareholding in Burndept, along with a number of other N.E.B. Companies. Roy Pierce - Managing Director. John Daniel - Sales and Marketing. David Cassidy - Group Financial. 1984 Acquired by FKI Electricals. ↑ Burndept 1981 Special Report for All Employees. This page was last edited on 12 May 2016, at 13:58.